Welcome to Gears of War for Xbox One and Windows 10. You can find links here to videos and demos, information about each game's server status, and troubleshooting help. You can also find links to purchase the games for Xbox One and Windows 10. 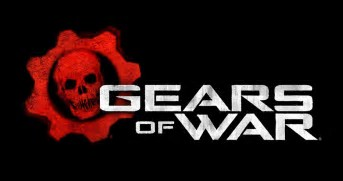 For Gears of War forums & community support, visit http://www.gearsofwar.com. Explore Gears of War 4 through videos and demos. Learn about gameplay, add-ons, and how to buy the game. See answers to commonly asked questions about Gears of War 4. If you have the hardware to support it, you can fine-tune your experience to get the very best out of Gears of War 4. Gears of War 4 is an Xbox Play Anywhere game. Find answers to problems you may be having with your game on Xbox One or Windows 10. Gears of War 4 supports cross play, so you can play with or against someone on another platform. Learn more about playing across platforms, as well as troubleshooting info. Visit the Gears of War 4 forum to learn more about the game, join the community in conversation, and find troubleshooting support for questions not answered here. If you’re passionate about Gears of War, join the Feedback Program to leave your feedback and help shape the game in future. Explore Gears of War: Ultimate Edition through videos and demos. Learn about gameplay, add-ons, and how to purchase the game. Buy Gears of War: Ultimate Edition for Windows 10. Learn about gameplay, add-ons, and how to buy the game. Would you like to contact Support regarding the "Gears of War" issue you were reading about or a different issue?